The proper installation and maintenance of the electrical system is vitally important. Having a properly functioning electrical system minimizes the risk of problems from malfunctioning appliances to tripping breakers to electrical fires. 485 Americans lose their lives to each year and 2,305 more are injured by electrical fires. While theses fires are sometimes caused by electrical system failures and defects, improper use and lack of maintenance contribute to a significant percentage as well. • Only the proper size and brand of breaker to protect a circuit. • Find and correct overloaded circuits. • Wet areas, exteriors, and garages should be protected with GFCI outlets. • Trees should be trimmed and kept out of contact with power lines. • All electrical splices should be contained within junction boxes. Usually located in the garage, the main distribution panel contains the entry point of electricity for the house. Whether fuses or breakers are in use, it is important to have the proper sizing to prevent overheating or shorting of the wiring. In the event of a power outage, return the breaker to the “ON” position or insert a new fuse of the appropriate amperage. Be sure to do at least a quick diagnosis of why the fuse or circuit blew. Overloaded outlets, frayed wires, or defective appliances are common causes. Never overload a circuit with high wattage appliances. If you cannot determine the cause of the outage, contact an electrician. Ideally all electrical outlets will be three-hole, grounded outlets. Wet areas, exteriors, garages, and pools should be protected by GFCI or Ground Fault Circuit Interrupter outlet. Never place extension cords under rugs and minimize their overall use. Make sure electrical cords are adequate for the job, and use child safety plugs in unused areas. 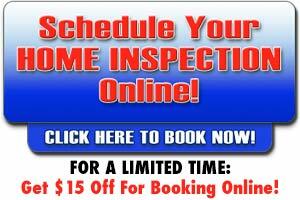 Appliances should be proper installed and given periodic maintenance checks. Water heaters should be stored in areas with proper ventilation and should not be in storage areas. Ranges and ovens should be leveled properly and anti tip devices should be in place. Monitor washers and dryers need regular checks to identify leakage and proper electrical connection. Monitoring and replacement of defective parts, loose terminals, corroded wires, worn or cracked insulation, and any other components that might not work correctly is essential for the performance and safety of all appliances. As with any other electric equipment, using portable electrical heating equipment requires caution. Maintain proper clearance from combustibles and place them where tipping is unlikely. Avoid bathrooms use due to of the risk of shock from contact with water. Electric blankets are popular and work well if kept in good condition. Inspect them regularly for damage to wiring, plugs and connectors or charred spots on either side of the blanket. Folding, stacking, or allowing pets to sleep on electric blankets can cause them to overheat. • Never put objects into electrical outlets. • Don’t carry electrical devices near water. • Don’t climb trees near power lines. Use of electricity near water is very dangerous. Essentially your body can serve as a lightning rod and become the conduit for the current use to travel to the ground. Use of electric appliances in the tub, shower, damp areas, or touching them with wet hands creates a very high risk of electrocution. In areas where water is present, use outlets with “Ground Fault Circuit Interrupters” or GFICs. Vermin like mice or rates can chew through and damage electrical wires. If you see rodents or evidence of their activity, pest control measures should be taken. Every homeowner should be aware of exterior electrical hazards such as overhead and underground power lines. Maintain safe distances from power lines when using or moving objects around your property. Contact between poles, ladders, kites, and antennas with power lines leading to the house and other buildings can cause serious injury or death. Digging to plant bushes, shrubs, or trees should not be undertaken before checking the area for underground power lines. Climbing power poles or transmission towers is very dangerous and should only be done by a professional. You should call the utility company in the case of animals trapped in trees or near electric lines. Avoid working on or installing electrical appliances during bad weather or in areas with rain overhead or water underfoot. GFCI (Ground Fault Circuit Interrupter) outlets should be in use at all exterior or wet areas. Should you discover a downed power lines, maintain a safe distance and call the utility company. • Conduct regular checks of your electrical appliances and wiring. • Replace all damaged or worn appliance cords immediately to reduce fire risk. • Avoid use of electrical appliances on wet floors and counters; maintaining GFCI coverage to outlets in the bathroom and kitchen. • Electrical appliances such as Space heaters, irons and hair dryers should be kept out of the reach of children. • Heaters should be kept at least three feet from curtains, clothes, and other potentially combustible items. • Use only plugs that are appropriate for the appliances and their cords. Never remove the third prong or attempt to force three prong cords into two prong outlets. • Avoid overloading wall sockets or extension cords. If a light switch or socket is hot to the touch it should be disconnected and professionally replaced. Child safety covers should be used on electrical outlets when toddlers are present.